To do this exercise you will need a half foam roller. You will place the roller so that the round or rocking part is on the ground. 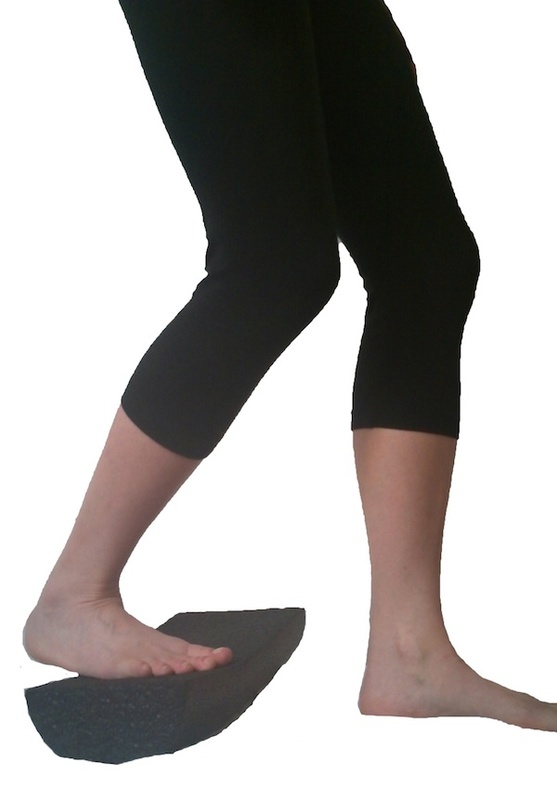 Then place the ball of your foot on the roller and use the roller to reach your heel to the ground. Then while maintaining contact with the heel bend the knee. This will move the stretch from the gastrocnemius to the soleus. You can increase the stretch by moving the standing foot in front of the foam roller. Sometimes when doing this stretch there can be tension in the front of the ankle. It is important make sure the range of motion of the ankle is such that this stretch does not cause strain.